As far as wineries go, I would have to say I’ve been around. I’ve done Napa Valley over the course of several days, I’ve been to finest grape-growing regions in France, and I know the Okanagan and Fraser Valley vineyards like the back of my hand. I can swirl, swoosh, sniff, and taste tannins as good as the rest of them and I must say, I simply love coming to the Okanagan. 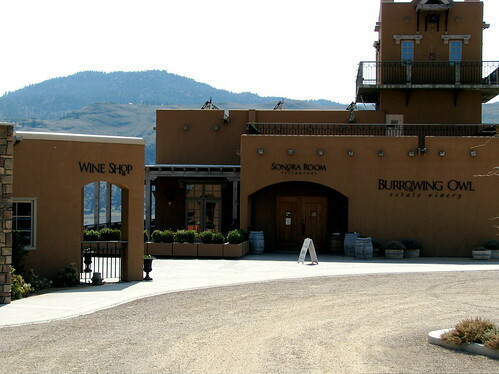 Our second stop on day two of SuperHappyBollwittTime was at Burrowing Owl Estate Winery, which is perched atop a hill just outside of Osoyoos’ city centre, off of Black Sage Road. Burrowing Owl not only has a handsome wine tasting room, they have a small resort with rooms to let, an enormous swimming pool and a lovely restaurant view never-ending views of the Sonora Desert. We popped in for a quick sip as the restaurant was closed for a private function, which we assumed was a wedding as a woman was walking around claiming to be the ‘mother of the bride’. There was a selection of 6 wines available for the tasting which was by donation, the suggested amount being $2. The reason for the donation is that aside from supplying the world with a hearty oaky 2005 Meritage they also spread awareness about the protection of the endangered burrowing owl species. 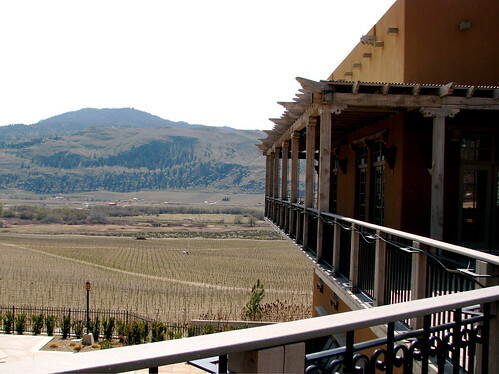 The Burrowing Owl Vineyards and Winery pay tribute to the little native burrowing owl (Athene cunicularia), which is currently being reintroduced into the Okanagan Valley. The Valley’s grasslands and sagebrush plains were once a breeding area for these birds. The winery also has strict policies when it comes to creating a sustainable working vineyard that does as little damage as possible to the sensitive ecosystem in which it lies. In the summer months (when that gigantic pool is up and running) I think it would be a lovely to getaway and stay in their guest house. Breathtaking views, hot and humid desert air, and all the wine you can handle. I agree with you (about the summer months comment) as I was up there in August. One word: wow. Of all of the wineries I visited and reviewed, Burrowing Owl stood out in regard to quality, professionalism, and presentation. Wow, beautifully written blog post. made me want to get in my car and go there! I love the fact that they are environmentally friendly. I am a woodturner and use mainly reclaimed wood or fellen trees so his article really speaks to me. Very nice…thank you for the article.